Steven takes a holistic approach to helping clients meet their financial goals and maintains a practice dedicated to wealth preservation for high net worth clients. With 35 years of experience in the financial services industry, he has the insight to address the subtle planning issues that arise while assessing his clients’ global economic objectives with solutions that can help generate liquidity and help build and protect wealth. Business exit planning services are a core component of Steven’s practice. His comprehensive advisory process and proprietary tools help clients define a clear and tax efficient business plan, ultimately allowing them to exit their businesses on their own terms – when they want, to the person they choose, and for the money they need. Another main focus of Steven’s practice is his advanced insurance planning and underwriting advocacy for the professional advisor community. He is viewed as a trusted resource for leading accounting and law firms, private banks, and trust companies for client insurance matters, both large and small. From disability income and long-term care protection to insurance planning models for life, property and casualty coverage, his practice is a true, one-stop resource for financial services. Steven’s financial background is anchored in CPA training honed at Deloitte & Touche, with additional credentials as a Chartered Life Underwriter (CLU) and Chartered Financial Consultant (ChFC) from the American College. 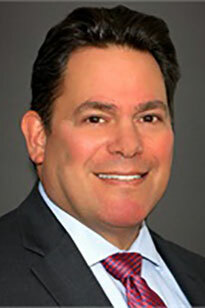 His trade affiliations include past president of the New York City Estate Planning Council, and longstanding membership in the Association of Advanced Life Underwriting, and the Society of Trust and Estate Practitioners. Steven’s active participation in these industry-leading organizations allows him to stay at the forefront of the financial planning field, as change and innovation come down the pipeline.